To be judged by the state as an innocent, is to be guilty. It is to sanction, through passivity and obedience, the array of crimes carried out by the state. You rebel not only for what you can achieve, but for who you become. The relationship between those who are constantly watched and tracked and those who watch and track them is the relationship between masters and slaves. 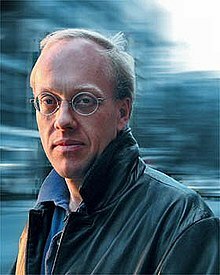 Chris Hedges (born 18 September 1956 in St. Johnsbury, Vermont) is a RT News program host (On Contact with Chris Hedges), war journalist and the author of War Is a Force That Gives Us Meaning (2002) and What Every Person Should Know about War (2003). In 2002 Hedges was part of a group of eight reporters at The New York Times awarded the Pulitzer Prize for the paper's coverage of global terrorism. We on the left have forgotten that the question is not how do you get good people to rule, most people who rule are mediocre at best and usually venal. The question is how do we make those in power frightened of us and not be seduced by formal political processes. Transcript: Thom Hartmann talks to Chris Hedges about how liberals are a useless lot. 07 Dec '09. The glitz and propaganda, the ridiculous obsessions imparted by our electronic hallucinations, and the spectacles that pass for political participation mask the deadly ecological assault by the corporate state. The worse it gets, the more we retreat into self-delusion. We convince ourselves that global warming does not exist. Or we concede that it exists but insist that we can adapt. Both responses satisfy our mania for eternal optimism and our reckless pursuit of personal comfort. In America, when reality is distasteful we ignore it. But reality will soon descend like the Furies to shatter our complacency and finally our lives. We, as a species, may be doomed. And this is a bitter, bitter fact for a father to digest. We’ve been saturated with cultural images and a kind of cultural deification of wealth and those who have wealth. They present people of immense wealth as somehow leaders, oracles even. We don’t grasp internally what an oligarchic class is finally about, or how venal and morally bankrupt they are. We need to recover the language of class warfare to grasp what is happening to us. And we need to shatter this self-delusion that somehow if, as Obama says, we work hard enough and study hard enough, we can be one of them. We live in an oligarchic state where we’ve been rendered utterly powerless. The judiciary, the legislative, the executive branch is all subservient to an oligarchic corporate elite. And the press is owned by an oligarchic corporate elite which makes sure that any critique of them is never broadcast over the airwaves. When you spend that long on the outer reaches of empire, you understand the cruelty of empire ... and the lies we tell ourselves about what is done in our name. Kevin Kruse in his book One Nation Under God: How Corporate America Invented Christian America details how industrialists in the 1930s and 1940s poured money and resources into an effort to silence the social witness of the mainstream church, which was home to many radicals, socialists and proponents of the New Deal. These corporatists promoted and funded a brand of Christianity—which is today dominant—that conflates faith with free enterprise and American exceptionalism. The rich are rich, this creed goes, not because they are greedy or privileged, not because they use their power to their own advantage, not because they oppress the poor and the vulnerable, but because they are blessed. And if we have enough faith, this heretical form of Christianity claims, God will bless the rest of us too. It is an inversion of the central message of the Gospel. You don’t need to spend three years at Harvard Divinity School as I did to figure that out. This moment in American history is what Antonio Gramsci called the “interregnum”—the period when a discredited regime is collapsing but a new one has yet to take its place. There is no guarantee that what comes next will be better. But this space, which will close soon, offers citizens the final chance to embrace a new vision and a new direction. If you read the writings of anthropologists, there are studies about how civilizations break down; and we are certainly following that pattern. Unfortunately, there’s nothing within human nature to argue that we won’t go down the ways other civilizations have gone down. The difference is now, of course, that when we go down, the whole planet is going to go with us. You rebel not only for what you can achieve, but for who you become. In the end, those who rebel require faith — not a formal or necessarily Christian, Jewish or Muslim orthodoxy, but a faith that the good draws to it the good. That we are called to carry out the good insofar as we can determine what the good is. We are captive to systems of power until we can name the dominant myths and the intricate systems of coercion and control that extinguish our freedom. We are a society awash in skillfully manufactured lies. Solitude that makes thought possible—a removal from the electronic cacophony that besieges us—is harder and harder to find. We have severed ourselves from a print-based culture. We are unable to grapple with the nuances and complexity of ideas. We have traded ideas for fabricated clichés. We speak in the hollow language we are given by our corporate masters. Reality, presented to us as image, is unexamined and therefore false. We are culturally illiterate. And because of our cultural illiteracy we are easily manipulated and controlled. The great writers—Marcel Proust, Anton Chekhov, Hannah Arendt, Simone Weil, Max Weber, Samuel Beckett, George Orwell, W.E.B. Du Bois, James Baldwin and others—knew that thought is subversive. They challenged and critiqued the dominant narrative, assumptions and structures that buttress power. They freed us. They did not cater to the latest fashion of the academy or popular culture. They did not seek adulation. They did not build pathetic monuments to themselves. They elucidated difficult and hard truths. They served humanity. They lifted up voices the power elites seek to discredit, marginalize or crush. What is happening to Assange should terrify the press...The silence about the treatment of Assange is not only a betrayal of him but a betrayal of the freedom of the press itself. We will pay dearly for this complicity.... Assange is on his own. Each day is more difficult for him. This is by design. It is up to us to protest. We are his last hope, and the last hope, I fear, for a free press. [pp 6-9] Marx warned that capitalism has built within it the seeds of its own destruction.... Unable to expand and generate profits at past levels, the capitalist system would begin to consume the structures that sustained it. It would prey upon, in the name of austerity, the working class and the poor, driving them ever deeper into debt and poverty.... Politics would become subordinate to economics, leading to political parties hollowed out of any real political content and subservient to corporations.... Capitalist oligarchs hoard huge sums of wealth, $7.6 trillion stashed in overseas tax havens.... In the end corporate monopolies obliterate free market competition.... Corporations feast on taxpayer money. The government is committed to spending $348 billion over the next decade to modernize nuclear weapons.... We spend $100 billion a year on intelligence, surveillance, and 70% goes to private contractors.... Department of Education spends $68 billion a year. Wall Street and hedge funds behind the charter school industry view public education as one more source of revenue.... Public lands, prisons, schools, water and power utilities, parking, sewers, garbage collection and health services are being sold off or privatized by desperate towns, cities and states. None of these seizures of basic services by for-profit corporations makes them more efficient or reduces costs. That is not the point. It is about extracting money from the carcass of the state. [pp 40-41] The opioid crisis, the mass shootings, the rising rates of suicide, especially among middle-age white males, the morbid obesity... magical thinking... the Christian Right.... They have risen from a decayed world where opportunity which confers status, self-esteem and dignity has dried up for most Americans.... A decline in status and power, an inability to advance, a lack of education and health care and a loss of hope are crippling.... Humiliation fuels loneliness, frustration, anger and feelings of worthlessness. When you are marginalized and rejected by society, life often has little meaning. [pp 82-83] The Corporate State has cast many aside, but especially the young. It has thwarted their dreams and condemned them to a life where the best many can hope for is a low-wage mind-numbing job in the service industry.... The despair, the stress, the sense of failure and loss of self-esteem, the constant anxiety of being laid off, the pressure of debt repayment, often from medical bills, is amplified in a society splintered and atomized to render real relationships and community difficult and often impossible. Many people, especially the young, sit far too long in front of screens seeking friendship, romance, affirmation, hope and emotional support. This futile attempt to achieve a human connection electronically, vital to our emotional well-being especially in a society that condemns so many to the margins, exacerbates the alienation, loneliness and despair that make opioids attractive. [pp 232-233] The message of the consumer society, pumped out over flat screens... is shrill and unrelenting: You are a failure. Pop culture celebrates those who wallow in power, wealth and self-obsession, and perpetuates the lie that if you work hard and are clever, you can become a "success."... The disparity between the glittering world that people watch and the bleak world they inhabit creates a collective schizophrenia. It manifests in diseases of despair, suicides, addictions, mass shootings, hate crimes and depression. We are to blame for our own misfortune.... Noam Chomsky suggests, "If you care about other people, you might try to organize or undermine power. That's not going to happen if you care only about yourself. Maybe you can become rich; you don't care whether other people's kids can go to school or afford food. In the USA that's called 'libertarian' for some wild reason. I mean it's actually highly authoritarian, but that doctrine is extremely important as a way of atomizing and undermining the public." Democracy, in this late stage of capitalism, has been replaced with a system of legalized bribery. All branches of government, including the courts, along with the systems of entertainment and news, are wholly owned subsidiaries of the corporate state. Electoral politics are elaborate puppet shows. Those rebels who rise up to try to wrest back power from despotic forces will endure not only the violence of the state, but the hatred and vigilante violence meted out by the self-deluded victims of exploitation. The systems of propaganda will relentlessly demonize those who resist. The irony is that Barack Obama would not even be president if it were not for the courage of persecuted dissidents such as Martin Luther King or Malcolm X, spied upon by their own government. But Obama understands where power lies. It does not lie with the citizen. It lies with Wall Street and our corporate boardrooms, which have carried out a slow motion coup d’état. And a system of mass surveillance is designed to keep these elites in these boardrooms powerful and the rest of us powerless. Totalitarianism no longer comes in the form of communism or fascism. It comes now from corporations. And these corporations fear those who think and write, those who speak out and form relationships freely. Individual freedom impedes their power and their profits. Our democracy, as Snowden I think has revealed, has become a fiction. The state, through elaborate forms of political theater, seeks to maintain this fiction to keep us passive. And if we wake up, the state will not shy away from draconian measures. The goal is complete subjugation, the iron rule of our corporations and our power elite. Moral courage means to defy the crowd, to stand up as a solitary individual, to shun the intoxicating embrace of comradeship, and to be disobedient to authority, even at the risk of your life, for a higher principle. Moral courage ... is always defined by the state as treason. ... It is the courage to act and speak the truth. Thompson had it. Daniel Ellsburg had it. Malcolm X had it. Martin Luther King had it. What those in authority once said about them they say today about Snowden. 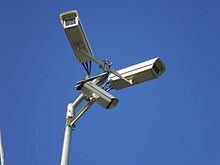 An omnipresent surveillance state ... makes democratic dissent impossible. Any state that has the ability to inflict full spectrum dominance on its citizens is not a free state. The government officials, along with the courtiers and the press, ... insist that congressional and judicial oversight, the right to privacy, the rule of law, the freedom of the press, the right to express dissent remains inviolate. They use the old words and old phrases, old laws and old constitutional guarantees, to give our corporate totalitarianism a democratic veneer. We now live in what the German political scientist Ernst Fränkl called the dual state. Totalitarian states are always dual states. ... The outward forms of democracy, of democratic participation, voting, competing political parties, judicial oversight and legislation remain, but are hollow political stagecraft. And Fränkl called those who wield this unchecked power over the citizenry “the prerogative state.” The masses in a totalitarian structure live in what he termed “the normative state.” The normative state, he said, is defenseless against the abuses of the prerogative state. All those who challenge the abuses of power by the prerogative state, like Snowden, who expose the crimes carried out by government, are turned into criminals. Totalitarian states always invert the moral order. It is the wicked that rule, and it is the just that are damned. This deadly impasse, the tightening of the corporate totalitarian noose, would have continued if Snowden had not jolted the nation awake by disclosing the massive crimes of the prerogative state. Societies such as ours that once had democratic traditions or periods when relative openness was possible are often the most easily seduced into totalitarian systems because those who rule and build totalitarian structures continue to pay outward fealty to the ideals, practices and forms of the old system. To truly teach is to instill the values and knowledge which promote the common good and protect a society from the folly of historical amnesia. The utilitarian, corporate ideology embraced by the system of standardized tests and leadership academies has no time for the nuances and moral ambiguities inherent in a liberal arts education. Corporatism is about the cult of the self. It is about personal enrichment and profit as the sole aim of human existence. And those who do not conform are pushed aside. I suspect that a major goal of the reform campaign is to make the work of a teacher so degrading and insulting that the dignified and the truly educated teachers will simply leave while they still retain a modicum of self-respect. The truly educated become conscious. They become self-aware. They do not lie to themselves. ... Thought is a dialogue with one’s inner self. Those who think ask questions, questions those in authority do not want asked. They remember who we are, where we come from and where we should go. They remain eternally skeptical and distrustful of power. And they know that this moral independence is the only protection from the radical evil that results from collective unconsciousness. The capacity to think is the only bulwark against any centralized authority that seeks to impose mindless obedience. There is a huge difference, as Socrates understood, between teaching people what to think and teaching them how to think. Those who are endowed with a moral conscience refuse to commit crimes, even those sanctioned by the corporate state, because they do not in the end want to live with criminals—themselves. Those who meekly obey laws and rules imposed from the outside—including religious laws—are not moral human beings. The fulfillment of an imposed law is morally neutral. The truly educated make their own wills serve the higher call of justice, empathy and reason. As Arendt pointed out, we must trust only those who have this self-awareness. This self-awareness comes only through consciousness. It comes with the ability to look at a crime being committed and say “I can’t.” We must fear, Arendt warned, those whose moral system is built around the flimsy structure of blind obedience. We must fear those who cannot think. Hope will come with the return of the language of class conflict and rebellion, language that has been purged from the lexicon of the liberal class. This does not mean we have to agree with Karl Marx, who advocated violence and whose worship of the state as a utopian mechanism led to another form of working class enslavement, but we have to learn again to speak in the vocabulary Marx employed. We have to grasp, as Marx and Adam Smith did, that corporations are not concerned with the common good. Not to know the Bible is, in some ways, to be illiterate, to neglect the very roots of philosophy, art, architecture, literature, poetry and music. We are not fully human if we live alone. These small acts of compassion-for they can never be organized and institutionalized as can hate-have a power that lives after us. Human kindness is deeply subversive to totalitarian creeds, which seek to thwart all compassion toward those deemed unworthy of moral consideration, those branded as internal or external enemies. These acts recognize and affirm the humanity of others, others who may be condemned as agents of Satan. Those who sacrifice for others, especially at great cost, who place compassion and tolerance above ideology and creeds, and who reject absolutes, especially moral absolutes, stand as constant witnesses in our lives to this love, even long after they are gone. In the gospels this is called resurrection.